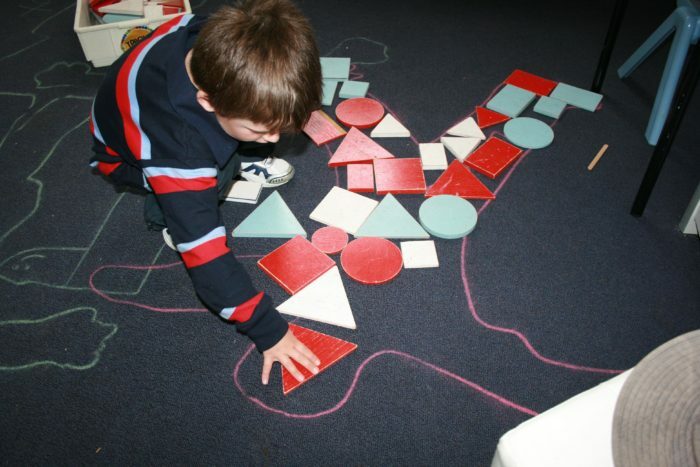 Transition has started looking at the many many that we use mathematics in the real world. Measurement has been a big topic over the last week as the children asked the question how can we discover the BIGNESS of something. BIGNESS is the term that the children have created for size. One of the children asked how big is a giraffe so as a group we looked for answers on the internet and discovered that a male giraffe can be up to six metres tall. 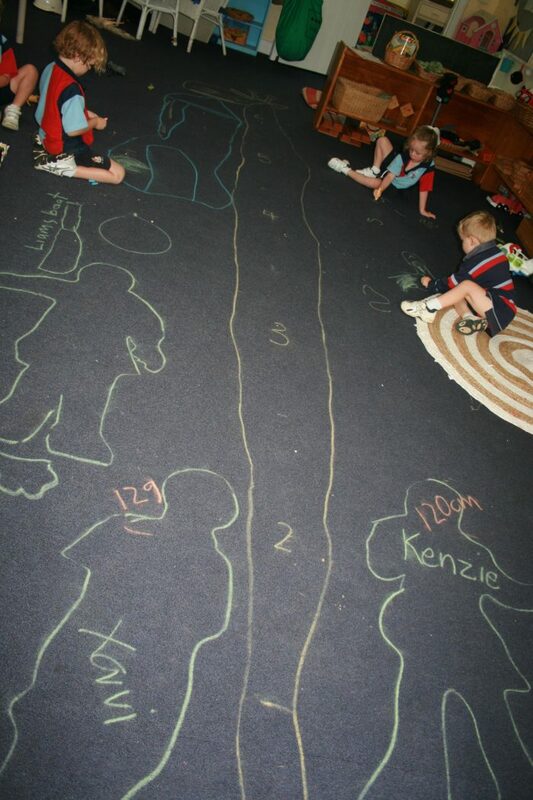 We then measured six metres on the carpet and drew a giraffe. 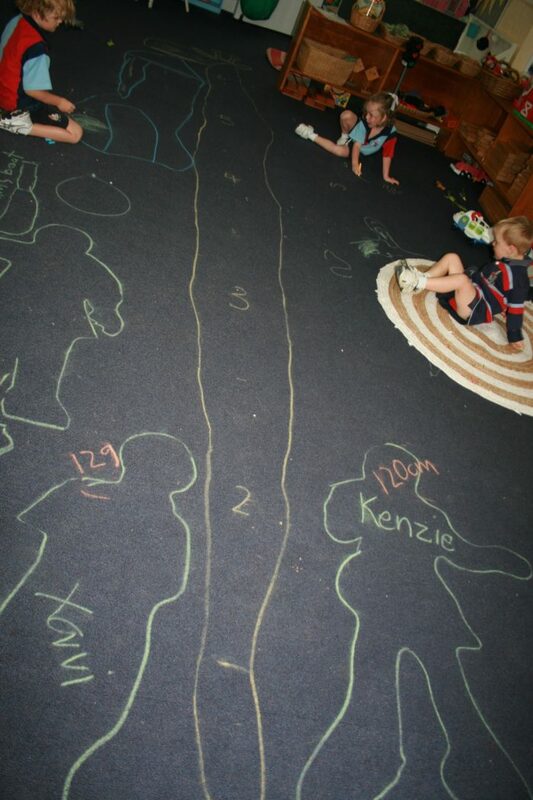 The children then thought they should be measured. 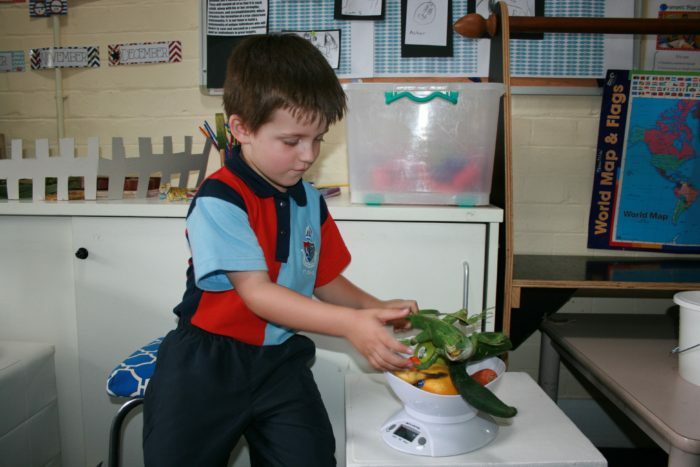 This week the children also experimented with scales and weighed vegetables and fruits which is a whole other story. Questions are magic in Transition.